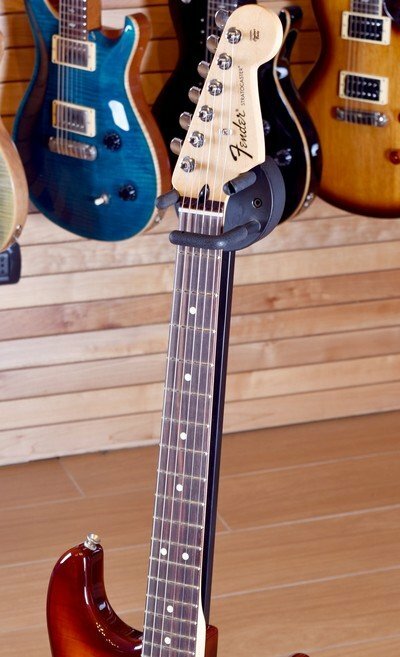 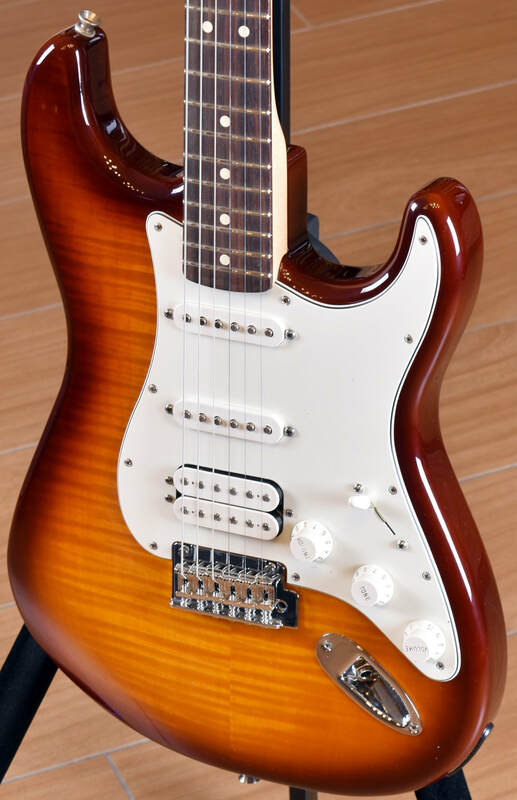 The Deluxe Stratocaster HSS Plus Top guitar with IOS Connectivity lets you expand the sonic possibilities of the world’s greatest electric guitar by plugging it straight into iOS devices such as your iPhone, iPad, iPod or computer—with no need for any external devices—for easy recording, editing, monitoring and more. 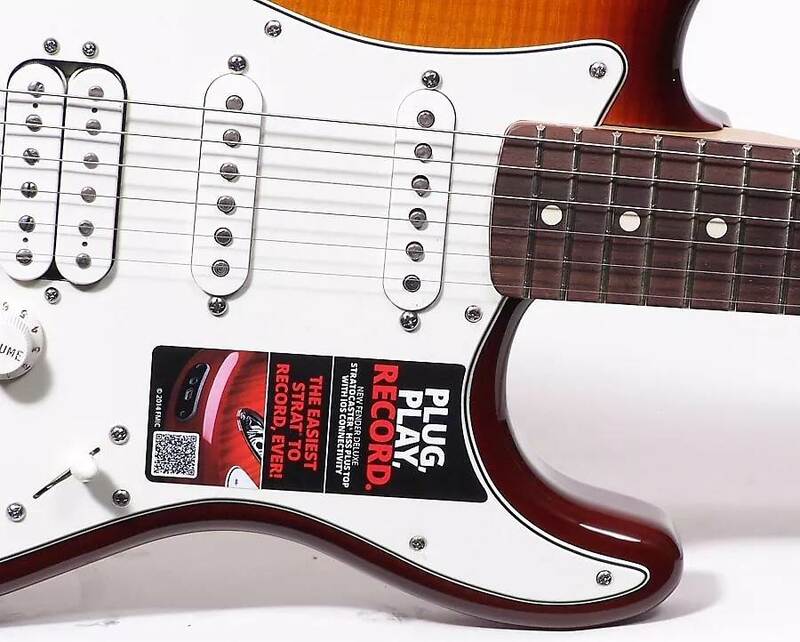 Along with all its other great features, you get superior signal-to-noise ratio and remarkable dynamic range for an exciting and truly state-of-the-art playing experience. 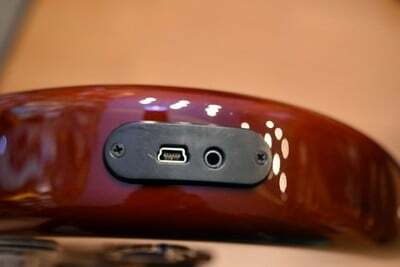 The guitar’s built-in USB audio interface is what does the trick. You can always play it as a great-sounding standard HSS Stratocaster, but the USB output and 1/8” stereo headphone output on the side of the lower bout deliver a whole other world of sonic versatility and creativity. Use the included USB mini-B to Lighting cable to connect the guitar directly to your iPhone, iPad or iPod, or use the included USB mini-B to USB Type A cable to connect directly to your Mac or PC (a custom USB mini-B to MFi 30-pin cable for connection to older iPhone, iPad and iPod models is sold separately). 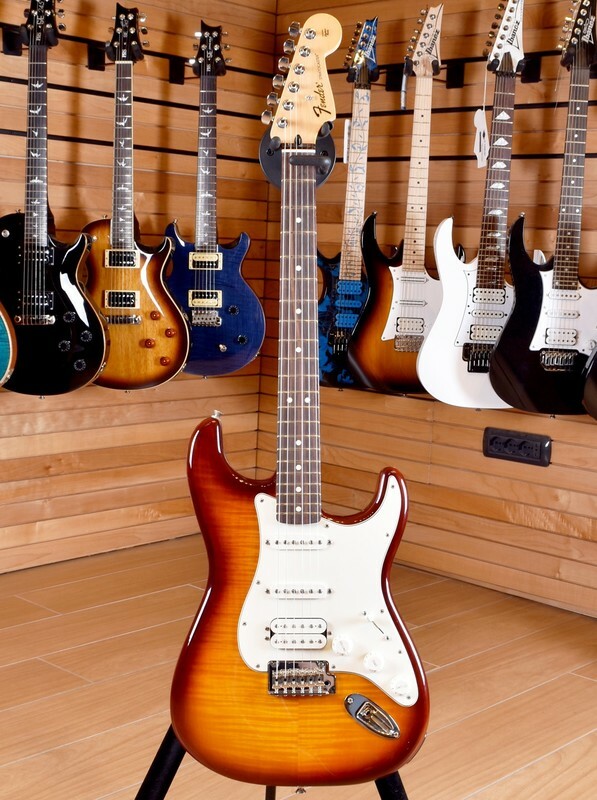 And to top it all off, it's a gorgeous guitar with a beautiful flame maple top in a choice of Aged Cherry Burst or Tobacco Sunburst gloss finishes. 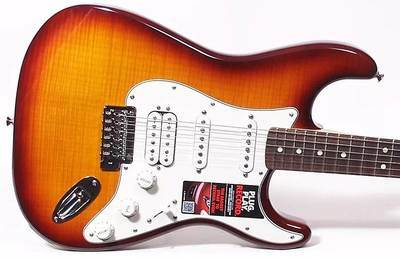 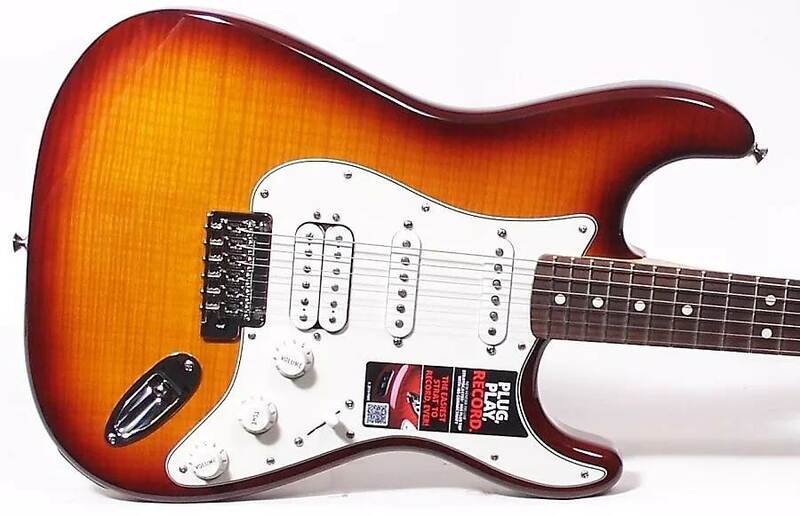 Other features include a maple neck with "modern C" profile and gloss finish, maple or rosewood fingerboard with 9.5" radius and 21 medium jumbo frets, single-coil neck and middle pickups, humbucking bridge pickup, five-way switching and three white plastic control knobs (master volume, master tone, headphone volume), three-ply parchment pickguard and two-point synchronized tremolo bridge with six saddles.